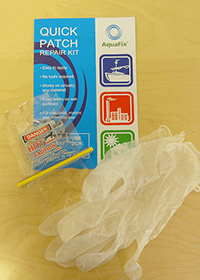 Quick Patch is a specially formulated, uniquely packaged, no mess epoxy patch which can be applied to virtually any surface. The sealed, pre-measured two fibre glass patch (in resin) and a on the other side of the divider a catalyst solution. 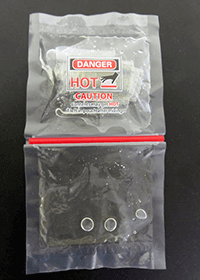 By simply removing the central divider you can mix the catalyst and resin together without opening the package. After approximately 2 minutes the solution will begin to warm which is the indication that it is ready for application.